In-form Stamford seek a higher level scalp in the Evo Stik League Cup tonight (December 5). The Division One Daniels are at lowly Premier Division outfit Coalville. 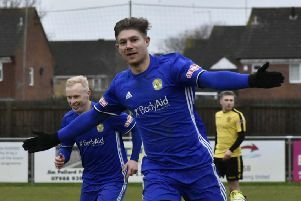 There’s a Lincs Trophy semi-final at the Abbey Lawns tomorrow (December 6) when Bourne of United Counties Division One will be big underdogs to beat visiting Holbeach United who went second in the Premier Division at the weekend.